Play is what kids do. It needs no explanation, it’s all in good fun, after all. But play is also incredibly important. Many young animals play to imitate and learn the behaviours that will help them in later life and humans are no different. It plays a huge role in their cognitive, emotional, physical, and intellectual development and providing the right kind of play can make a huge difference. However, we’re at risk of losing the value of educational playtime. So, here are a few ideas to make sure your kids get everything they need to out of play. 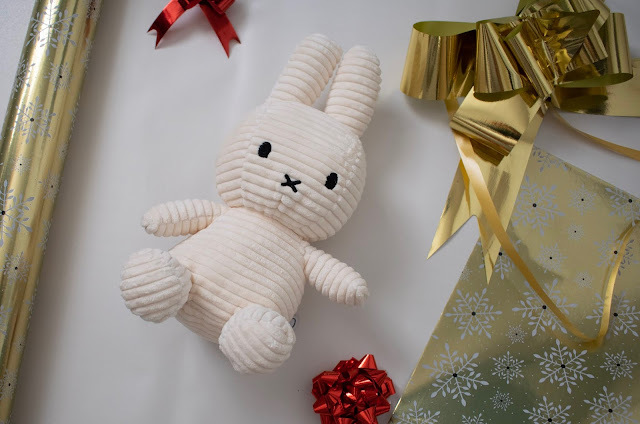 Naturally, Christmas is my favourite time of the year, I love nothing more than spending time with family, eating lots of food - which I tend to regret come the new year, and give gifts to the people I care about. 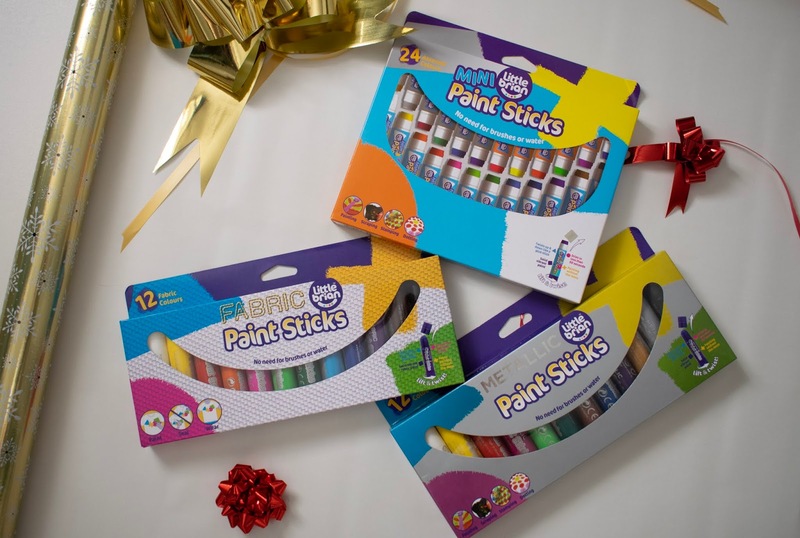 This year, Isabelle is that little bit older making this year a lot more special for her as she is going to be aware of what is going on, and I know that she is going to love tearing open her gifts! Finding her the perfect presents haven't been all that easy though, she isn't a typical toddler, but she is a typical little sister in the sense that she wants everything her big sister wants! I thought that I would share with you a few things that would make the perfect Christmas gift for a toddler. I spent my day taking the most beautiful Christmas card pictures, but when it came to actually editing the pictures I realised that Emily's ear was tucked behind her Alice band meaning it looked like she didn't actually have an ear. So I had to retake them - I also got a few cute ones the first time around which was disappointing. I'm glad that I did have to retake them tough, as the second lot I took I loved way more than the first lot. 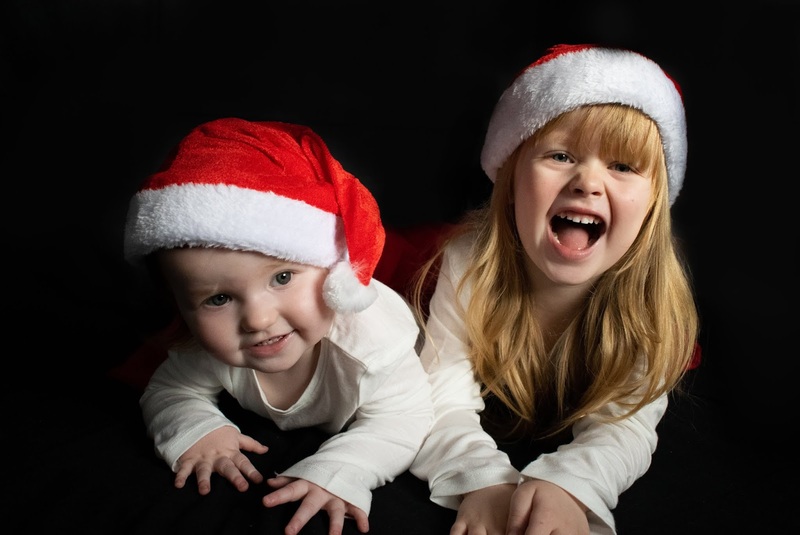 So I thought that I'd share with you my Christmas card pictures for this year. I actually brought some Christmas card frames in the sale last year, meaning I got 8 for 50p. I plan to use the free print app to print off the pictures, which means the Christmas cards will work out pretty cheap. We've never brought Playmobil before, for no reason other than it just wasn't something Emily had ever reached for, she was more into trains and babies than anything else, but as her imagination had grown she has started to reach for toys that inspire imaginative play more. 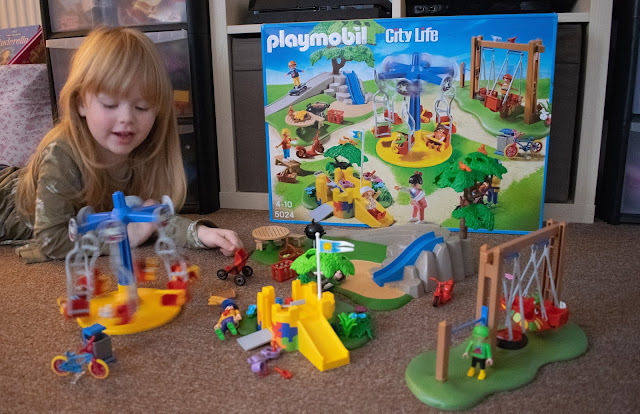 We were recently given the opportunity to review a Playmobil Children's playground, and I couldn't wait to see what Emily thought of Playmobil. With it being so close to December, the only thing that is on Emily's mind is what she would like from Santa, she also informed me that her friends have been telling her what is on their list, and she must write her letter so that she won't get forgotten - as if that would ever happen. I decided that we would use the Royal Mail Santa post this year, and I know that it gets extremely busy, and the deadline is December 7th.